In contemporary history of American football, Dr Bennet Ifeakandu Omalu is hailed as a hero and lifesaver, though he has never for once participated in the sport. A forensic pathologist and neuropathologist, he was the first to discover and publish findings on chronic traumatic encephalopathy (CTE) in professional American football players, while working at the Allegheny County Coroner’s Office in Pittsburgh, USA. Dr Omalu first discovered the presence of CET in the brain of one of the most celebrated football legends in American history – Mike Webster. Aged 50, Webster had dropped dead suddenly as a result of a heart attack. However, before his death, Webster had been exhibiting a range of disconcerting symptoms, such as cognitive dysfunction, intellectual impairment, mood disorders, drug abuse, depression and multiple suicide attempts. Accordingly, Webster’s physician had suspected that his cognitive dysfunction might have been due to the multiple concussions he received during his career and had listed post-concussion syndrome on his death certificate as a contributory factor to his death. Due to the manner of his death, Webster’s body was referred to the Coroner’s Office in Pittsburgh for an autopsy. Dr Omalu was on duty at the time. Webster’s brain looked normal at autopsy, but Omalu’s instinct told him something wasn’t right and he pursued the matter further conducting independent and self-financed sophisticated tissue analyses. Omalu eventually identified clumps of tau (killer) proteins, which slowly killed brain cells upon accumulation in Webster’s brain that led to the discovery of chronic traumatic encephalopathy (CTE). He submitted a paper titled “Chronic Traumatic Encephalopathy in a National Football League Player” to the Neurosurgery medical journal and, in July 2005, it was published. Dr Omale’s paper attracted the attention of the National Football League (NFL) which condemned his research and demanded a retraction. The NFL was outraged by Omalu’s findings because it threatened their multi-billion dollar industry. According to the NFL, Mike Webster’s case was just a random occurrence and didn’t meet the scientific burden of proof. Nevertheless, Omalu was determined to let the world know what he had discovered so he continued his research to prove his findings. His determination paid off. Over the next six years, he found evidence of CTE in Justin Strzelczyk, Terry Long, Andre Waters and Tom McHale, all of whom were retired NFL players. His efforts to raise awareness of CTE began to yield fruit in 2009 when he was profiled in the September issue of GQ magazine, which detailed his efforts to raise awareness of football-related brain injuries and the NFL’s attempt to suppress his research with attacks on his credibility, competence and nationality. The story went viral. When the degenerative disease was discovered in more NFL players, including the highly-celebrated Dave Deurson and Junior Seau, even the most passionate supporters of the NFL started to pay attention to what Dr Omalu was saying. With mounting evidence, the NFL eventually admitted publicly the link between concussion sustained in football and CTE. Dr Omalu’s work is, indeed, one of the most significant discoveries in modern medicine. He has without doubt changed the face of neuropathology and has helped the world gain better understanding into the management of all types of traumatic brain injuries. 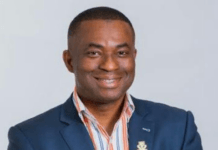 All over the world, his findings have influenced the decisions of experts in public health management, sports administration, trauma management and public policy. Dr Omalu’s work was dramatised in the 2015 film, Concussion, with Will Smith, portraying the Nigerian-born doctor. Bennet Omalu was born in September 1968, during the Nigerian Civil War, in the town of Nnokwa, located in Idemili South Local Government Area of Anambra State. He was the sixth of seven children of Oba and Iyom Omalu. His father worked as a civil engineer and was a respected community leader, while his mother was a seamstress. His father was very supportive of his decision to pursue a career in Medicine and, evidently, Bennet picked his habit of public service from him. 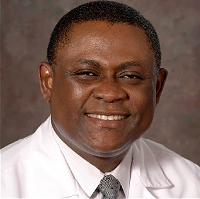 Dr Omalu received his MPH (Masters in Public Health) degree in Epidemiology from the University of Pittsburgh in 2004. He also received his MBA (Masters in Business Administration) degree from Carnegie Mellon University in 2008. Dr Omalu holds four board certifications in Anatomic Pathology, Clinical Pathology, Forensic Pathology and Neuropathology. He is also board certified in Medical Management and is a Certified Physician Executive (CPE). Dr Omalu has testified twice before the United States Congress and has provided hundreds of testimonies as an expert witness in federal courts and state courts across the United States. 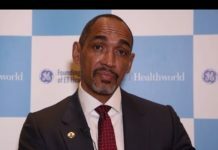 He is a member of many professional organisations, including but not limited to the College of American Pathologists, American Society of Clinical Pathology, American College of Physician Executives, American College of Epidemiologists, American Association of Neuropathologists, American Academy of Forensic Sciences, National Association of Medical Examiners, International Academy of Pathology and American Medical Association. During the heat of his struggle with the NFL, Dr Omalu resigned from his position at Allegheny County Coroner’s Office in Pittsburgh and moved to California in 2007, where he took the position as chief medical examiner of San Joaquin County. That year, he published his first book, Play Hard, Die Young: Football Dementia, Depression, and Death. He later became a professor at the University of California, Davis, Department of Medical Pathology and Laboratory Medicine. He is also the president and medical director of Bennet Omalu Pathology. Dr Bennett Omalu became a U.S. citizen in February 2015. He lives with his wife Prema Mutiso, a native of Kenya, and their two children, Ashly and Mark, in Lodi, California.In contemporary history of American football, Dr Bennet Ifeakandu Omalu is hailed as a hero and lifesaver, though he has never for once participated in the sport. A forensic pathologist and neuropathologist, he was the first to discover and publish findings on chronic traumatic encephalopathy (CTE) in professional American football players, while working at the Allegheny County Coroner’s Office in Pittsburgh, USA. CTE is a progressive neurodegenerative disease that is found in people who have had a severe blow or repeated blows to the head. It is commonly found in professional athletes taking part in extreme or contact sports, such as American football, rugby, professional wrestling, boxing, and mixed martial arts. It has also been found in victims of domestic violence and those with repetitive head collisions. In these cases, the victims experienced repeated concussions or other form of brain trauma. Dr Omalu’s work is, indeed, one of the most significant discoveries in modern medicine.He has without doubt changed the face of neuropathology and has helped the world gain better understanding into the management of all types of traumatic brain injuries. Dr Omalu’s work was dramatised in the 2015 film, Concussion, with Will Smith, p ortraying the Nigerian-born doctor. Dr Omalu received his MPH (Masters in Public Health) degree in Epidemiology from University of Pittsburgh in 2004. He also received his MBA (Masters in Business Administration) degree from Carnegie Mellon University in 2008. 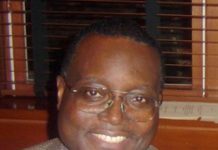 Dr Omalu holds four board certifications in Anatomic Pathology, Clinical Pathology, Forensic Pathology and Neuropathology. He is also board certified in Medical Management and is a Certified Physician Executive (CPE). Dr Bennett Omalu became a U.S. citizen in February 2015. He lives with his wife Prema Mutiso, a native of Kenya, and their two children, Ashly and Mark, in Lodi, California.